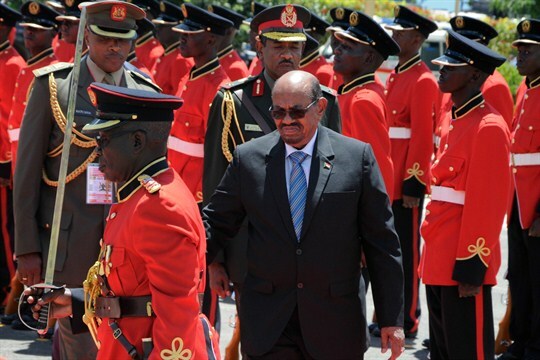 Is Bashir Finally Facing a Moment of Reckoning in Sudan? Sudanese President Omar al-Bashir inspects the honor guard after his arrival in Entebbe, Uganda, Nov. 13, 2017 (AP photo by Ronald Kabuubi). The people of Sudan are accustomed to volatility, but even for them, the current moment is fraught with uncertainty. A convergence of social, economic and diplomatic unrest has sent Sudan into a state of anxiety, straining society and raising the prospect of new domestic turmoil.